When Twitter first acquired the Crashlytics mobile crash reporting tool back in January2013, they promised to make it available for Android users. It seems that they have now made good on that promise with the highly anticipated release of the Android SDK for Crashlytics. Android engineers have been beta testing Crashlytics for Android prior to its release and say that it features which are very similar to those offered by the iOS version of the tool. Some of the key features included with Crashlytics for Android are automated deobfuscation, condensed crash reporting, IDE integration with Eclipse and many other features. The tools are specially designed to catch and interpret bugs and can easily integrate with the developer’s workflow. When discussing the launch of Crashlytics on Android, founder Wayne Chang was keen to point out that crash detection and bug reporting is pretty complex when it comes to the Android operating system. ‘Given the complexities of crash reporting, Android’s explosive growth, and the myriad of devices, it was important for us both to build the most powerful, lightweight crash reporting solution for the Android platform’, said Chang. It is intended that Crashlytics will be compatible with all Android devices allowing bug analysis for all models and versions of Android devices. This streamlines the developing process as it allows more time to be spent on addressing bugs rather than wasting time finding them. Crashlytics for Android will provide crash reporting in real time, performing a deep analysis of every single stack in order to identify exactly where the issue is found. As noted, Crashlytics for Android has a wealth of powerful features. Let’s take a look at some of these in closer detail. Thanks to the clever multi-step process employed by Crashlytics, you will never be required to upload files. Detected crashes will be analyzed ad automatically deobsfucated. The starting point is on-device exception handling and from this point whenever a crash report is logged, all of the stack frames are processed and compared with those in the applications mapping file. Not only are crashes reported automatically, but Crashlytics for Android will also log caught exceptions. These are processed in the background so as not to affect the app’s overall performance. One of the key features of the Crashlytics ADK is that is has the capability to work seamlessly across all levels of the Android system. Crashes can be collected from any deice or version dating all the way back to Android 2.1 – the information from these crashes can range in the thousands, but they are all condensed into one convenient report. 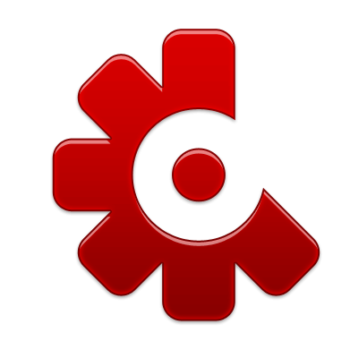 Developers have been crying out for Crashlytics on Android, and it has finally arrived. The tools have already enjoyed unprecedented success on the iOS platform and are used by such companies as Paypal, Groupon , Walmart and Expedia. Now you can say goodbye to bugs on your Android apps with the help of this powerful developer’s tool.